NASHVILLE, Tenn.— As “You Hold It All (Every Mountain),” the latest single from GRAMMY®-nominated, Platinum®-selling Newsboys, impacts Christian radio around the country this summer, an exclusive remix of the moving worship anthem is available for a limited time. Powered by FreeCCM.com in partnership with FairTrade Services, the free song can be downloaded now through July 24. 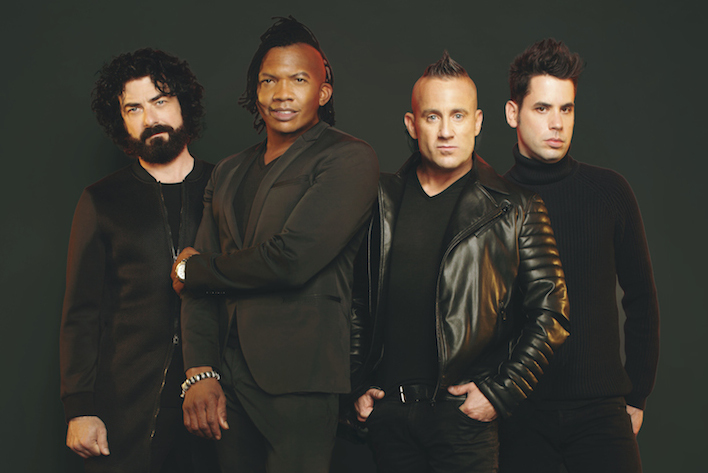 In addition, Newsboys’ latest best-selling FairTrade Services release, Love Riot, which features “You Hold It All (Every Mountain),” is available for a limited time at iTunes and Amazon Music for only $5.99. The project debuted atop multiple charts, including Billboard’s Top Rock Albums chart and Top Alternative Albums chart, earlier this year. Newsboys will hit the road this fall, bringing their “Love Riot Tour” to more than 40 cities around the country. Featuring Dove Award-winners The Afters and GRAMMY®-nominated singer/songwriter Ryan Stevenson, as well as a special message from acclaimed author and speaker Bob Lenz, the tour is sponsored by Child Fund and IF 7:14. Kicking-off September 15, the “Love Riot Tour” will make stops in Chicago, Washington, D.C., Houston, Dallas and Norfolk, Virginia, before concluding later this year. You may upload a press photo, single song demo or short video showcasing your music. Accepted file types: jpg, png, pdf, mp4, mp3. First Company Management was established in 1995 by Wes Campbell to provide organization, logistical management and promotional services for domestic and international music tour productions and festivals, most prominently in the Contemporary Christian Music genre. Our corporate headquarters are located in Franklin, Tennessee.